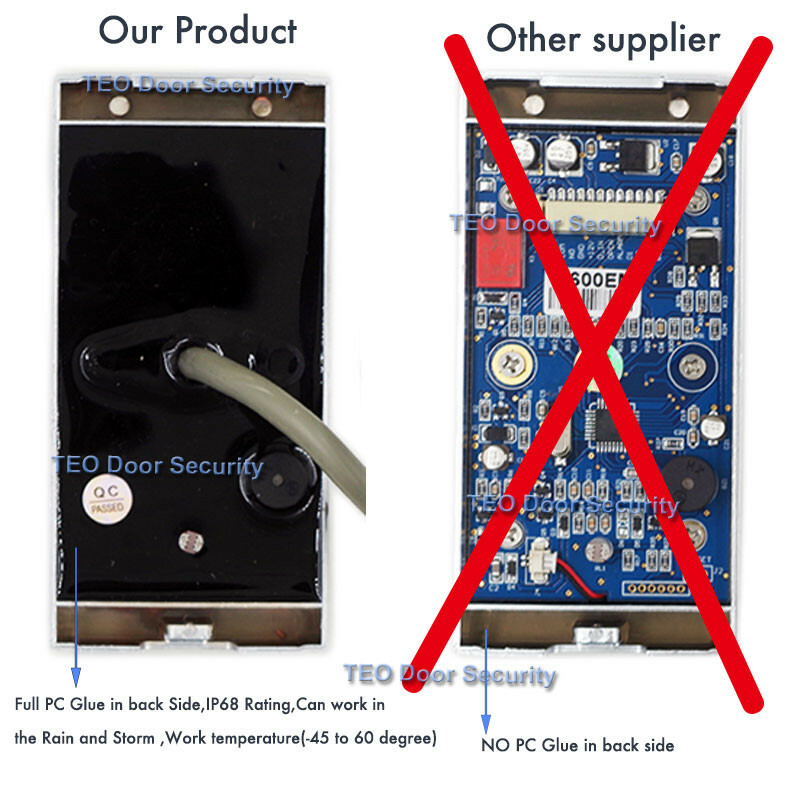 The unit is single door multifunction standalone access controlleror a Wiegand output keypad or card reader. It is suitable for mounting either indoor or outdoor in harsh environments. It is housed in a strong, sturdy and vandal proof Zinc Alloy electroplated case which is available in either a bright silver or matt silver finish. 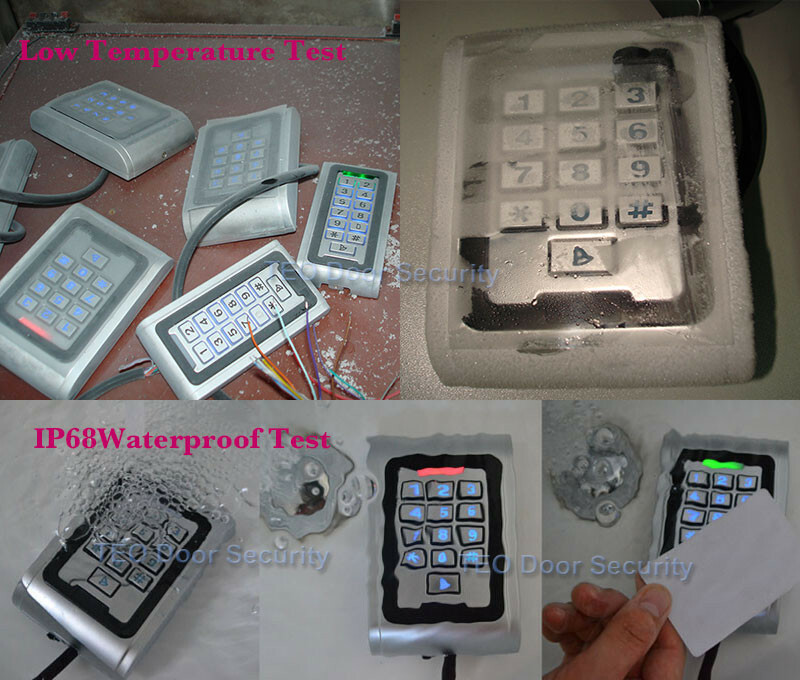 The electronics are fully potted so the unit is waterproof and conforms to IP68. This unit supports up to 2000 users in either a Card, 4 digit PIN, or a Card + PIN option. The inbuilt card reader supports 125KHZ EM cards,13.56MHz Mifare cards. 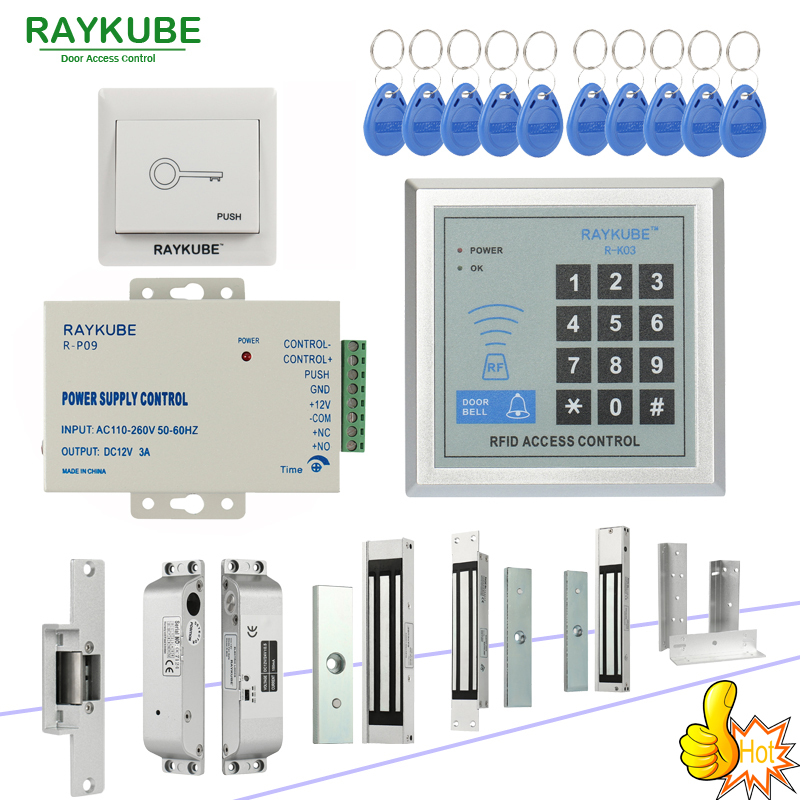 The unit has many extra features including lock output current short circuit protection, Wiegand output , and a backlit keypad. These features make the unit an ideal choice for door access not only for small shops and domestic households but also for commercial and industrial applications such as factories, warehouses, laboratories, banks and prisons. The unit uses a LDR (light dependent resistor) as an anti tamper alarm. 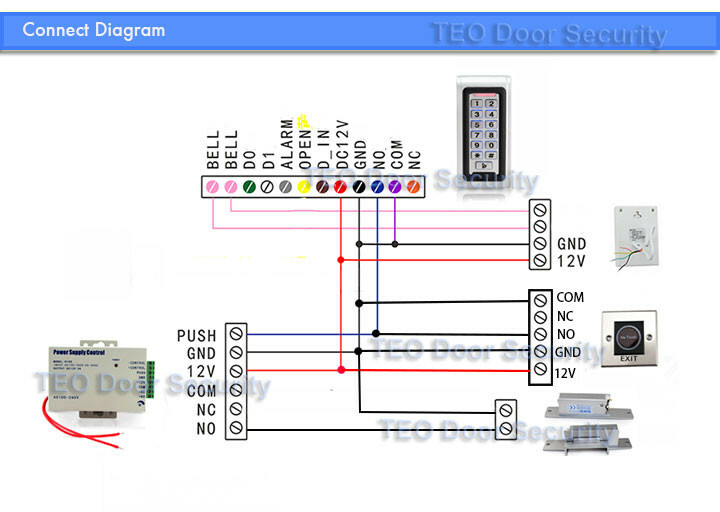 If the keypad is removed from the cover then the tamper alarm will operate. In this mode the unit supports a Wiegand 26 bit output so the Wiegand data lines can be connected to any controller which supports a Wiegand 26 bit input.